● Synthetic Leather Insoles - Provides extra comfort & cushioning ● Can be worn with socks and stockings! 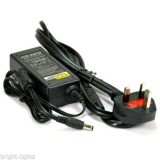 These simply act as a conduct for conne.. 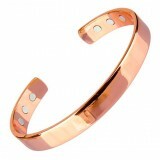 Wearing copper bracelets for medicinal benefits has a long history, all the way back to ancient Egypt, reports the "Gale Encyclopedia of Alternative M..
Great for testing Tyndall effect in Colloidal Silver solutions .. 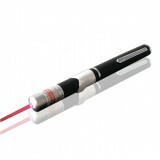 If making your own colloidal silver, this tool is a must have. It gives you a PPM (parts per million) reading when dipped in the colloidal silver solu..
Includes 2 x 6 inch strips of 99.99% pure silver wire. Incredibly thick at 1.5mm. 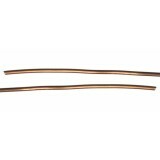 ..
Includes 2 x 6 inch strips of 99.99% pure copper wire. 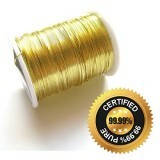 ..
Includes 2 x 6 inch strips of 99.99% pure gold wire. 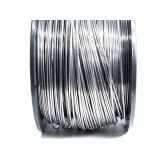 ..
Includes 2 x 6 inch strips of 99.99% pure zinc wire. 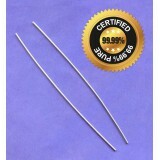 Thickness of 0.8mm. ..